My life in TV started a long time ago. When I was just 12 years-old, in fact. As you can see from the letter, it didn’t start that well. But hey – opportunity’s knocked a few times since then so it’s all good (in your face, Stewart Morris). My telly break came back in 2003 with Nickelodeon - what began as a one-off appearance soon became a monthly slot, which then became a job as regular guest presenter for the channel. As a result of this, I was spotted by Channel 4 and approached to star in what would soon become the multi award winning ‘Faking It’. My episode was a 90-minute special for the Easter Weekend where I got the chance to mentor physics student [Kevin McMahon] and work with none other than magical legends (and personal heroes of mine), Penn & Teller! Flying out to Las Vegas, our job was to transform Kevin from a mild-mannered scientist into a fully-fledged magician. The twist was we had to do this well enough to fool a panel of Magic Circle judges (including Paul Daniels) at a performance scheduled for just 4 weeks ahead of the day we first met! The pressure was well and truly on, and we certainly had a few hiccups along the way but – spoiler alert – Kevin did it and completely fooled the panel on the day! The show made for some unforgettable TV, launching to huge viewing figures once it aired. As a result, Kevin hung up his lab coat and is now a very successful magician and I was quickly enrolled to star in and develop several TV pilots and show ideas, one of which – Freaky - was later commissioned. Keen to flex more of my creative muscles this time around, Freaky gave me the chance to co-write the show as well as star in it, so the fact it was such a hit with audiences is still a great source of pride for me. Running for two full seasons on Channel 4, the show led to various TV and live event appearances which of course, led to even more opportunities going forward. One of these opportunities was being approached to write and star in my own show for Discovery Kids for what would later become Get Tricky, a show about performing and teaching the kids at home, magic. Several guest appearances and a position as host for the channel’s ‘WWII Experience’, I continued working with Discovery Kids eventually co- presenting a series called ‘Cre-8’ – a weekly art show aimed at kids that let me re-discover my college days as a graphic artist, making pieces of art that proved to kids that you don’t have to be good with a paintbrush to be creative. On top of performing live around the world at festivals, private parties and corporate events throughout 2008 and 9, this time saw me regularly starring in and writing various ad campaigns for brands as diverse as Whitbread and the Champions League. I then consulted for the BAFTA winning drama Skins and was featured in a set of idents for Mars Planets on Channel 4. The Mars Planets piece ran nightly between episodes of Friends for over a year, to the point where people soon came to recognise me as my alter ego for the bit – the elusive Chico Phantasmo… I still miss his glorious tan sometimes. Throughout this time, I was also working closely with Al-Jazeera to write and star in a show for their network ‘The Magician’. Shot entirely on location in Doha, the programme was part magic show, part culture review focusing on life in Qatar. It was during this project that I was offered the opportunity to pitch for another magic show of my own creation, this time for kids. ‘Meem’ ran for 100 episodes, written and produced by me, and aired across the Middle East throughout 2010. Returning to the UK later that year I was soon back consulting and featuring in various TV shows and specials. One of these – Redbull Rivals – was a youth programme for Channel 4 where I featured as the ‘expert instructor’, helping a television actor master the art of magic for a high-pressured public performance in the finale. Continuing in this vein, I then starred in ‘Under Pressure’ a 1-hour show for ITV2 where this time around, I trained a celeb to perform illusions and escapology to a live public audience. My student? None other than Tynchy Strider, who after a few twists and turns, had a real knack for performing magic and brought the house down with his street magic and strait-jacket escape in the end. I then rejoined forces with the Discovery Network and consulted on the hit show Card Shark. Broadcast globally, Card Shark was well received by audiences on both sides of the pond and in 2012, I was approached by Ford to devise and star in an online ad incorporating similar real-time illusions for the brand’s latest ad campaign. Shot in one take at Shepperton Studios with no edits, the sting baffled the internet and proved a huge win for the brand too. In early 2013, I co-wrote and devised the magic on a pilot for a show called ‘Magic Boy’, a hidden camera magic prank show tricking celebrities and unsuspecting members of the public. The commissioners loved it so much that work began immediately on 6 full, 1-hour episodes. Later renamed ‘Tricked’, the first series debuted on ITV2 in October 2013 to glowing reviews, attracting 30% more viewers than the time-slot average - the series peaked at a staggering 1.2 million. As people watched Helen Flanagan get spooked by a suddenly appearing ghost, many newspapers listed the show as ‘one to watch’ and Tricked went on to feature several more epic moments, including throwing a boy-band filled caravan off a cliff, a Supercar vanishing at 60mph and even a Broadcast Award for Best Entertainment Programming, beating out the likes of Celebrity Juice and Ant and Dec! 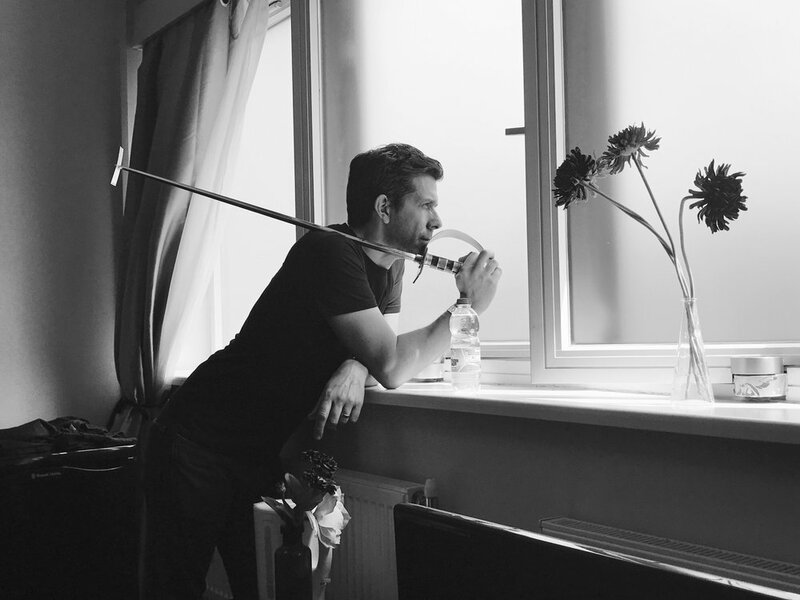 After all this success, work soon began on writing and filming series two, with the show airing in September 2014. Featuring stunts and illusions designed to up the ante from last time, we unleashed havoc on unsuspecting celebrities including Joey Essex, Peter Andre and David Haye. The success continued and, with another 6 episodes in the can, series 3 was commissioned. I was then approached by ITV studios to become a specialist consultant for international projects. A really interesting role for me, the gig saw me overseeing the quality of delivery on productions for TV magic shows in everywhere from Canada and the USA to Norway and Sweden, often attending the shoots personally. During this time, I wrote and produced several commercials for clients like Umbro and Coca-Cola both on and offline before the Tricked team proposed to ITV that we write a one-off themed episode. It was decided Halloween was the perfect vehicle for a special and so, on 27th October 2016, a Spooktacular Tricked special aired, filled with terrifying tricks and scream-filled situations for the unsuspecting victims to tackle. 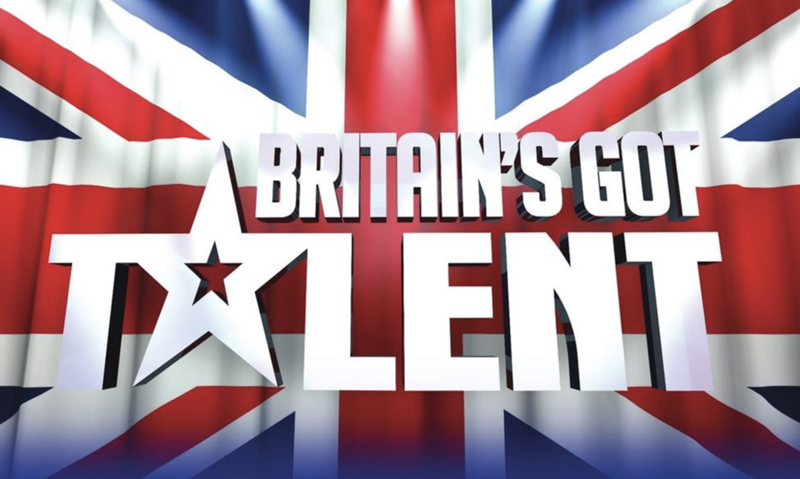 Staying with ITV, I was asked to co-write and consult on a show for a previous ‘Britain’s Got Talent’ winner, Richard Jones. 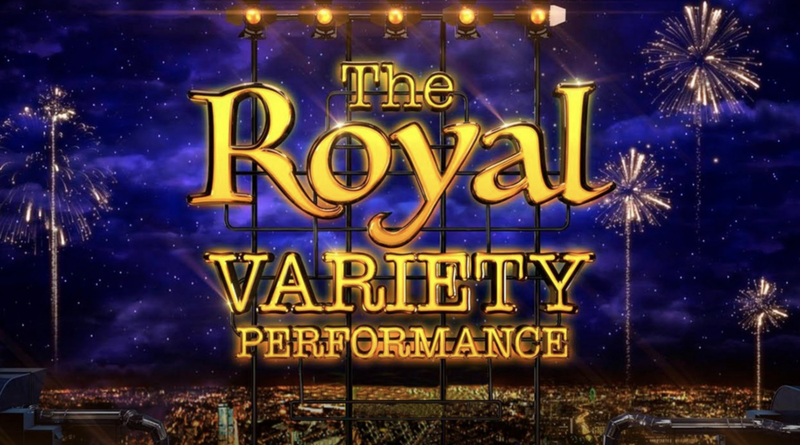 Operation Magic aired on ITV1 during the Spring of 2017 and I was subsequently asked to co-write the winner’s return performance for the televised Royal Variety Show, featuring none other than Prince Charles himself. 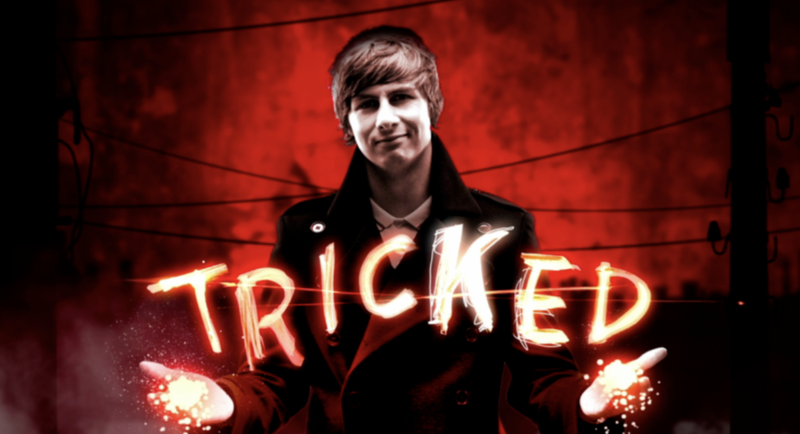 As well as working on several ongoing shows, pilots and upcoming series, my most recent work has been as the magic consultant on BBC1’s ‘Wedding Day Winners’, BBC3’s ‘Ryan’s Tricks On the Streets’, and ITV2’s most recent Halloween Special - Ben Hanlin’s Live and Deadly. This 90-minute live event had the long-suffering Joey Essex escaping a set of shackles from underwater - a sewer outlet deep below the streets of London to be exact. What’s next for me? I guess watch this space and find out! Backstage, Britian’s Got Talent, Live Finals Week.